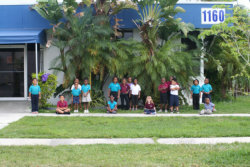 Situated in the business district of Miami Gardens, the facilities of Diamond Minds include ten classrooms, a dance studio, a music room, a café and a gymnastics room. Outside the school there is a playground, herb and vegetable garden, a flower garden, and courtyard for meals. The school also features murals on the inside and outside walls, created by local artists alongside students. The school also boasts extensive assistive technology in every classroom including computers, tablets, an electronic board, and an array of interactive software. 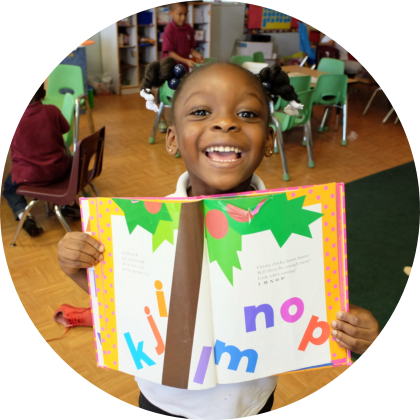 We are a full service, extended day school developing in students strong character, discipline, intelligence, and intuition. We invite you to visit the school and experience the spirit, atmosphere, and characters that make Diamond Minds unique.